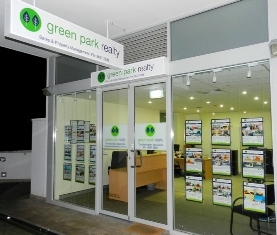 Green Park Realty was set up in 2003 specifically to provide the most professional service available to Newington and Wentworth Point tenants, residents, owners and investors. The principal of Green Park Realty, David Mahony, with over 28 years real estate industry experience is the most experienced and successful estate agent currently operating in Newington. The company realised that owners and investors required a ‘superior level’ of service with professionalism and local experience that was not being provided in this area. David Mahony set up Green Park Realty to fill this gap and has been providing this outstanding service since 2003. Green Park Realty is situated right in the heart of Newington shopping centre, across the road from the Newington Community Centre in Newington and as such is ideally situated ‘on the spot’ to be at your service at very short notice. We have a modern computerised office able to cater for all your property needs. Unlike many other agents from other suburbs, Green Park Realty is committed to providing the very best service for the local residents, we are not looking to list a property in Concord one day, Eastwood the next and then Strathfield the next. We are here to provide a service for Newington and Wentworth Point, your local agent. Our sales results speak for themselves, with many many record sales in virtually every level of property in the area. We are not a factory agency in the business to sell property at any price and move on. We value our reputation and will make sustained efforts to maximise the price of your property with well thought out marketing and sales techniques, whilst ensuring your potential purchasers are given a professional service to make it easier and more enjoyable for them to deal with Green Park Realty. We are well aware of the importance of keeping our clients informed of the progress of any sale and use all communication forums to provide excellent communication with our clients, keeping them more informed and better educated to take advantage of relevant opportunities. You will notice the difference! We provide the very best property management service available in the local area with a large number of properties currently being managed and with substantial numbers of owners and investors changing their management to Green Park Realty every month due to the better service being provided. We can provide you with an appraisal of your property and what we can achieve for you including an ongoing full management service on request providing you with peace of mind that your property is being professionally managed by the most experienced team available. We do not just put any tenant into your property, we check their credentials and report to you and you get to choose who lives in your property. We regularly review your properties rent to keep it to market levels, we regularly inspect your property to ensure it is being kept to an acceptable level and provide you with written reports. Good market rental, well maintained property with good tenants being managed by a professional diligent agent provide you will a better return and peace of mind! Better service with extensive experience and more local knowledge equal a better result for you!